Over the years of experiences in Tibet inbound tourism service, Visit Tibet (TibetCtrip.com, visittibet.org), has grown considerably and brought a new platform of Tibet Travel Expert. Here we will share a little more about how it got started, why it exists, what we do and why you should trust our travel advice. If you have used us on one of the Tibet tours, you have heard all of this in much further detail. But we think it is important for everyone reading through our site and emailing us for Tibet travel advice to know a bit more about us, how this all started, what we do and why we do it. If you have questions about traveling in Tibet, send an email to [email protected] or [email protected]. Wanting to find a practical and real way to help the Tibetan people, TibetCtrip owner Tony worked as an English teacher in Lhasa high school in the early 2000’s after his graduation from university with a bachelor’s degree in economics and English. Most of the teachers in this high school were Tibetan people. The teachers, especially the local Tibetan teachers really wish to see their people be brought out of severe poverty and to see their people be given opportunities in life that previous generations didn’t have. It was difficult for local high school students to improve English because the they were really lack of the practical English materials and correct teaching method, and of course the language situation at school. Most of the students were poor in English, some of them even can not read alphabets. And it was fairly difficult for them to get entry to better universities for further study. This was how Tony, as a teacher, got involved in the education in the Lhasa high school for one year. But after one year work, frankly the students still can not use English at all because most of them did not use English in daily life. 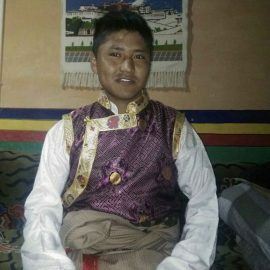 During the one year time in Lhasa, Tony walked to almost every corner of the capital city of Lhasa, and found that Tibet was very attractive to foreign travelers and there were many worldwide travelers in whole Tibet, this was really great opportunity for local people to get involved in the real English language situation and employment. Tony found out that it would be much easier to help local Tibetan people to work in inbound tourism and get them involved in the foreign tourism services. Also to help local people get jobs in tourism, this did not only improve the income of the local people, but also provided them a new window through which they can learn the outside world from the worldwide travelers when they meet and serve the foreign travelers. This was really a great opportunity for Tony to do something meaningful to local Tibetan community. Tony then began to work in travel agency and gained lots of experiences in Tibet tour organization and tour operation. Tony quickly met many Tibetan drivers and also new guides. As a team, Tony always tried his best to discuss with local tourism service people and keep training guides and drivers to show the best of Tibet. More and more foreign travelers wanted to travel Tibet with Tony’s agency because of quality services and also fair local prices. When the business got better and better, more and more local Tibetan people knew Tony well, and more Tibetan drivers and Tibetan guides loved to join Tony’s agency. This really moved Tony and the Tibetan tour service team quite a lot. Tony deeply understand that, tourism should benefit the most local people. Some of the local Tibetan people wanted to work as English speaking guide focused on Tibetan culture, Tibetan Buddhism, or Tibet photography and plateau trekking, private drivers catering to foreign travelers or were wanting to open small hotels, guesthouses or even open up restaurants serving Tibetan and Western food. These jobs and opportunities were definitely plentiful, but few were going to Tibetans. Most were going to Chinese who were coming from other parts of China to start these businesses while employing only Chinese staff, leaving Tibetans to wonder how they could benefit from tourism to Tibet. Even till today, the vast majority of tourism jobs in Tibet are still held by None Tibetans. While for Tony’s agency, we only employed local Tibetan people. Tony also trained some guides to open tour agencies as well. 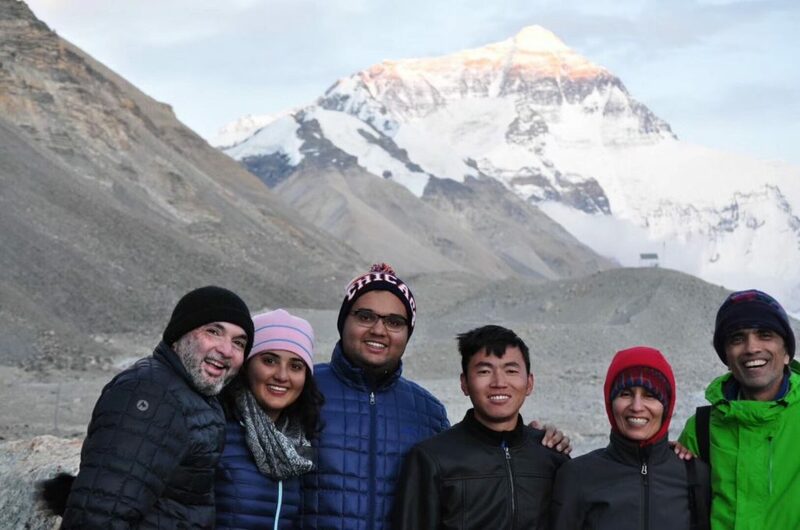 Tony and his team have been trying best to bring the Tibet inbound tourism to a higher level, hence a new platform of Tibet Travel Expert was born. What Sets Tibet Travel Expert Apart from others? Learn more about us, what our goals in Tibet tourism are, why ethical tourism is so important and why you should choose us. 100% Local Tibetan Guides and Drivers: We ensure all our foreign travelers can get authentic Tibetan tour experiences. None of our guides are Han Chinese, so are our safe drivers. Our sense of Tibet tourism responsibility:Preserving the native environment and local habitats insures the natural preservation needed for future generations of tourist to experience Tibet in real time. Furthermore establishing meaningful relationships between tourist and the Local Tibetan people offers mutual understanding of both cultures in which enhances respect for both tourist and host and thereby promotes future prosperity. Based on this value, we support local community by arranging local services, volunteering in local villages, and always trying our best to minimize impacts on environment and culture of the locals. Reliable Tibet travel agency in Lhasa since 1999 received verified Tibet tour reviews and recommendations from overseas travelers. We offer private Tibet tours with better and unbeatable prices. Should another Tibetan agency offers cheaper, email us and we will match it. Discover the city and country of Tibet through the eyes of locals! This is the only way to expect authentic and true Tibetan experiences! We have the most departures for Tibet group tours with “Fair Local” prices. And we can tailor make your personalized travel itinerary instantly. To book Tibet tour takes you just few minutes. We are specialized in Tibet travel permits and visa application. Based in Lhasa, we know what’s going on everyday about permits climate situation. We understand your travel purposes better. We believe Tibet travel will possibly change your life, at least it will improve your life. Here is a brief summary of why you should consider either using us to arrange your Tibet tour or asking us to help you plan your tour. We offer Tibet travel advice for free to many foreign travelers each year. We value your money at most and bring the most affordable and quality Tibet tours to you. We assure you all necessary Tibet travel permits because of our well maintained intimate cooperative relationship with Tibetan local government for years. Our company, TibetCtrip, employs ONLY local Tibetan tourism service people with the goal of arranging high quality vacations in an ethical and practical way. We keep working with numerous Tibetan-owned vehicle companies, hotels, guesthouses and restaurants in giving business training, marketing advice and general business consulting (free of charge) in order to see more Tibetan businesses succeed.